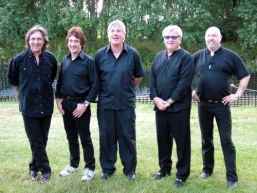 The band was founded in 1958 in Barking, UK as backing band for singer Brian Poole (see Brian Poole & The Tremeloes) and featured Dave Munden, Alan Blakley, Alan Howard and Graham Scott. Rick Westwood replaced Graham Scott in 1962, from then they started releasing records. Brian Poole left the band in 1966. The Tremeloes are still touring to this day, however, Dave Munden is the only original member.